Hello there and welcome back! 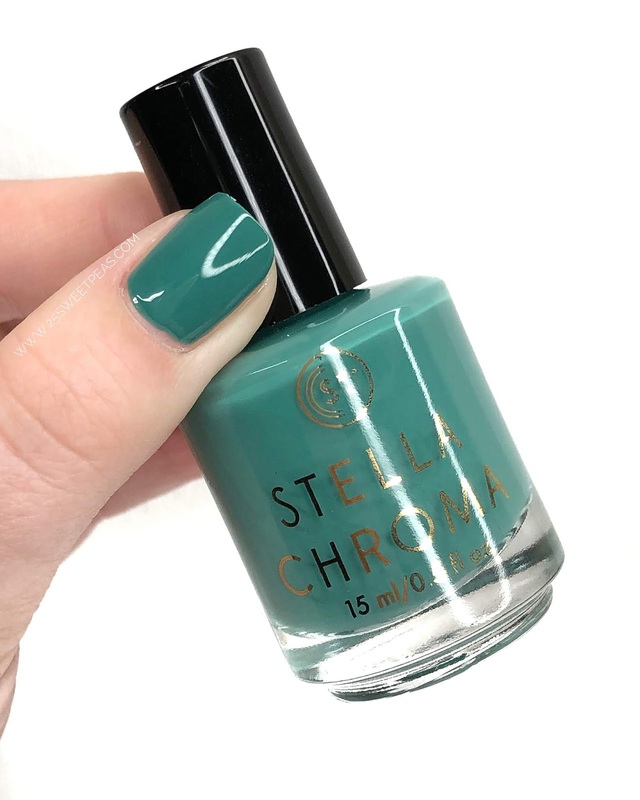 Today I have a swatch post for you of the upcoming collection from Stella Chroma. Its actually released this Friday so lets check it out! 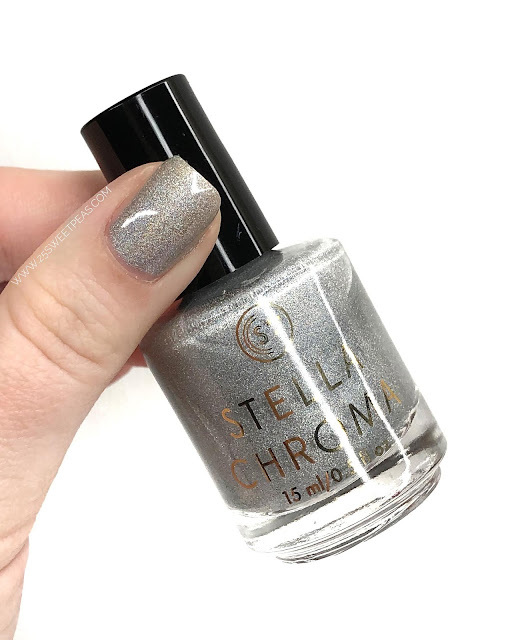 A creamy, pale shade of pink with highlights of silver holographic flakies. Inspired by the cherry blossoms that bloom all over Washington, D.C. in the spring. This is such a nice spring shade and while its described as a pink I see more lavender with a hint of pink. Either way its a lovely polish. Its goes on really nicely and I like the flakies in it a lot! 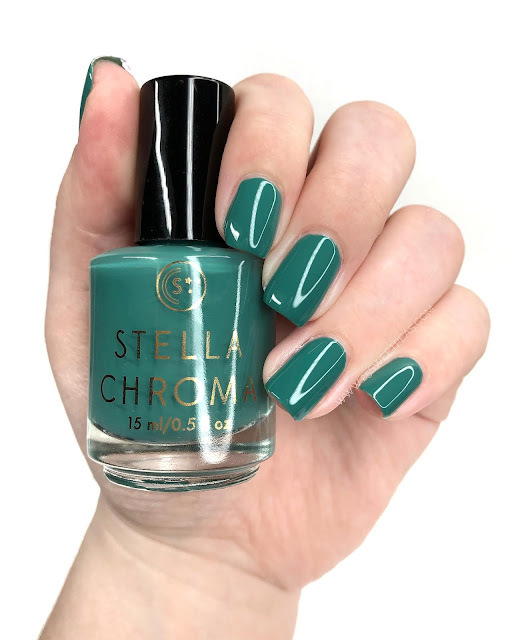 A springy green cream inspired by the Green Monster in Fenway Park in Boston. Ok this creme is fabulous! 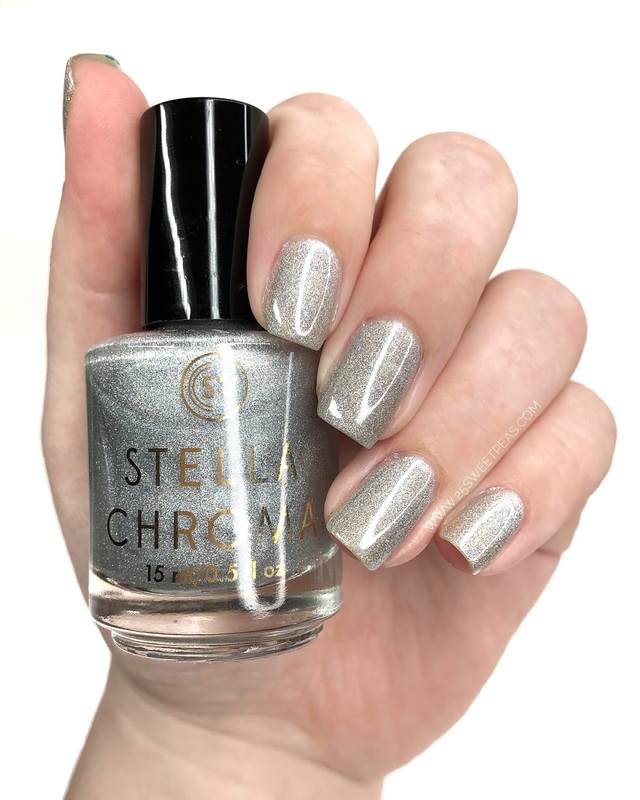 Its so creamy and applies perfectly in 1-2 coats! Just flawless! A purely holographic silver polish inspired by the famous Gateway Arch in St Louis, Missouri. 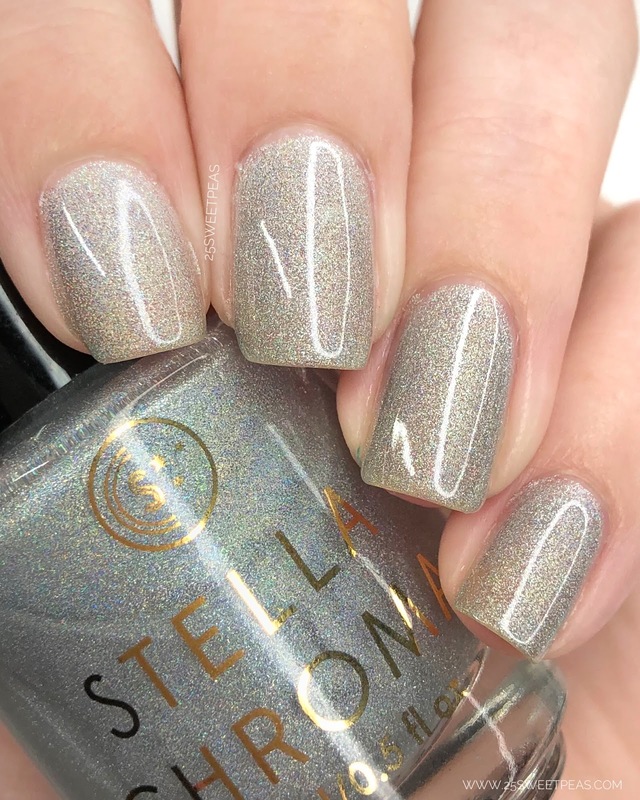 Can't go wrong with a little silver holo! While it doesn't show majorly on camera in the sunshine out and about it looks gorgeous! 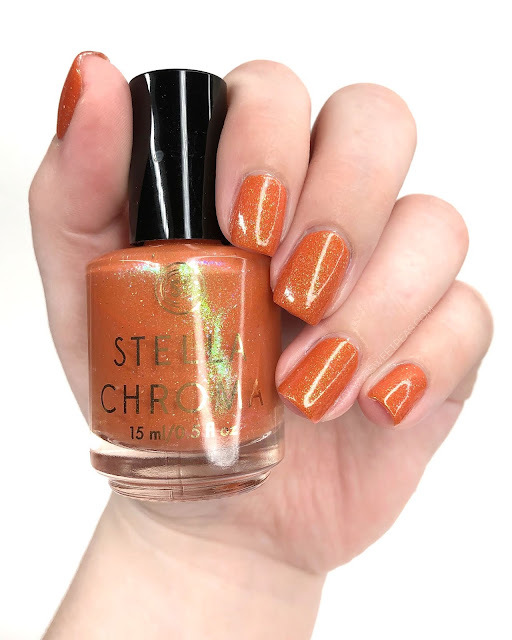 A deep orange packed with all sorts of gold flakies and shimmery goodness with a bit of holo thrown in as a nod to the absolutely amazing Golden Gate Bridge in San Francisco. Well that is a wrap for this post! 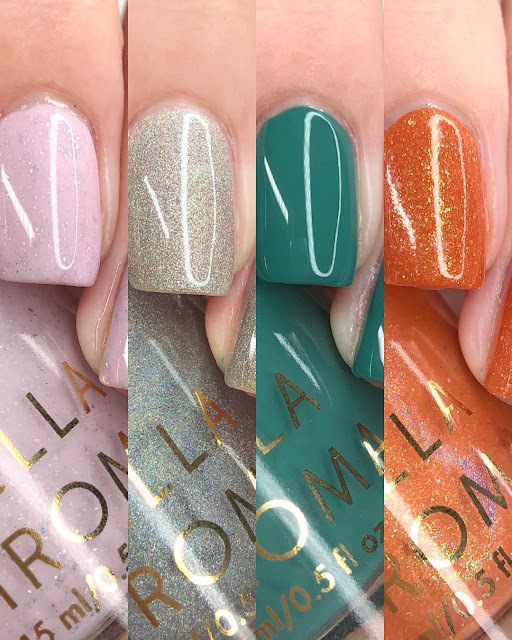 These polishes are releasing on the 12th and will be available as a set until the 26th, and that set will be $41. Others the polishes are each $10 - $12 depending on the shade. 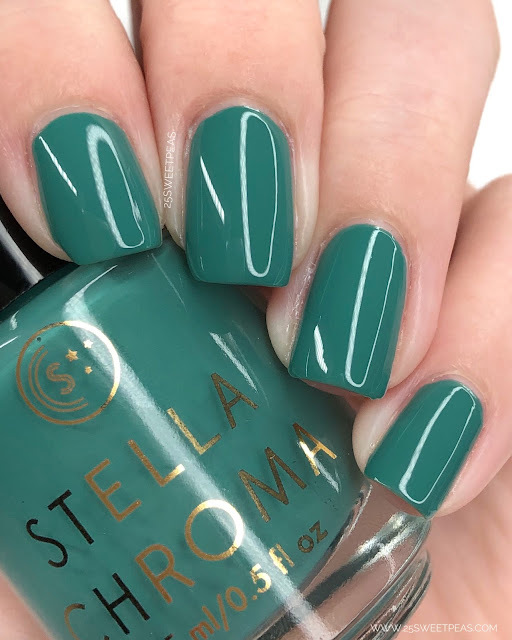 I hope you have enjoyed seeing new polishes from Stella Chroma! Want to see them in action, check the video out here.